Welcome to the book that’s written for you in mind. Sleep Baby Sleep is the first book that is written with the busy parents in mind who has no time to read a book from cover to cover. The quick start guide and key tips will help you find your family’s sleep solution right away! 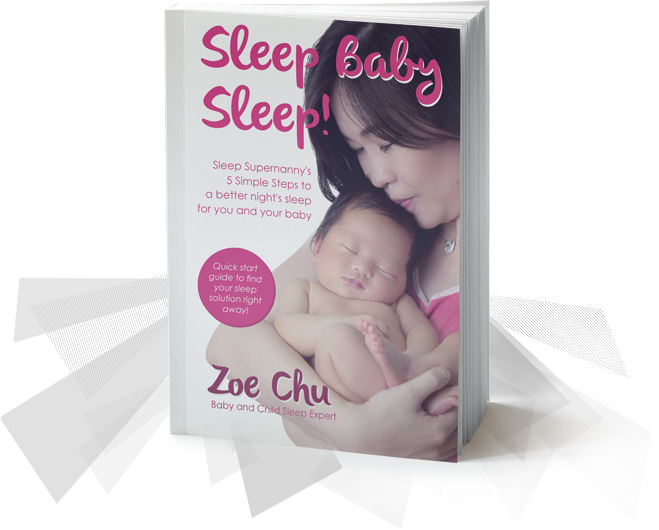 Authored by Zoe Chu, a mother of 4 including twins and a baby and child sleep expert with over a decade of experience, Sleep Baby Sleep is practical and easy to read! 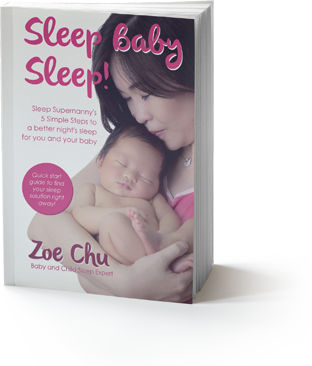 “Sleep Supernanny” Zoe Chu is an author, parenting speaker and baby & child sleep expert. 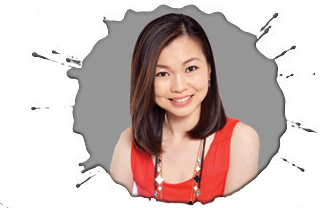 Her expertise has been featured in Mother & Baby, Singapore Motherhood, Sunday Times, Expat Living, Lianhe Zaobao, AsiaOne, SmartParents, and Channel NewsAsia. She lives with her husband and four children in Singapore and all her kids (including her twins) have been sleeping through the night since they were 3 months old. Zoe’s mission is to empower every family that they too can get well rested nights through healthy sleep habits for their child. You Can Kiss Goodbye To Sleepless Nights! Are you sick and tired of hearing all sorts of conflicting advice to get your baby to sleep? Are you exhausted, sleep-deprived, and unable to function at work? Sleep Baby Sleep will show you everything you need to know about your baby’s sleep and empower you to foster healthy sleep habits for your baby. Hundreds of books and thousands of online articles are talking about how to get your baby to sleep through the night. However, many of the books in the market are long, complicated, and often contradict one another. Tired parents don’t even have time to sit down and enjoy a cup of coffee, let alone read an entire book from cover to cover. This book is designed to be an easy-to-read manual that gets straight to the point. The quick start guide will help you start tackling your baby’s sleep issues right away where you can see real results in just a matter of days. Just follow the simple 5-step program which has been a wonderful source of guidance for countless parents who are struggling with their child’s sleep. digital and the images are for visualization only. Copyright©2018 | All Rights Reserved.